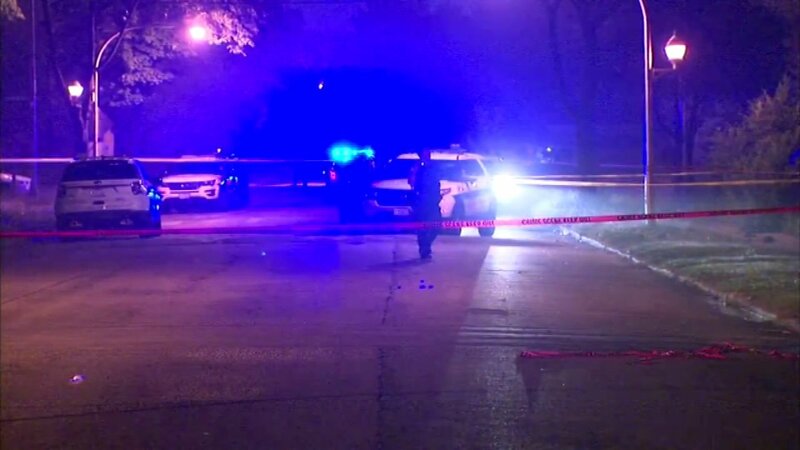 CHICAGO (WLS) -- Four people were shot, one fatally, in two separate shootings Friday morning in Chicago's Fuller Park neighborhood. A vehicle headed south on State Street stopped at the light at East 41st Street around 7:10 a.m. Police said that's when a black SUV pulled up alongside it and someone inside opened fire. A 22-year-old man, who was riding in the back seat, was shot in the head, shoulder and back. He was pronounced dead at the scene. His identity has not yet been released. A 23-year-old woman, who was also riding in the back seat, was shot several times in the torso and in the right arm. She was transported to Stroger Hospital, where she is listed in critical condition. The driver ran from the scene, trying to get away from the gunman, and eventually stopped in the 5400-block of South Wentworth Avenue. The driver and the front passenger were not hurt. Area Central detectives are handling the investigation. They said the man who died was a documented gang member, so the shooting may be gang-related. About three and a half hours earlier, a man and a woman were shot while on a sidewalk in the 5500-block of South Shields Avenue, on the other side of the Dan Ryan Expressway. The 41-year-old man and 40-year-old woman were shot at by someone inside a van. The man was shot in the chest, arm and hand. The woman was shot in both legs and the stomach. They were both transported in critical condition to Stroger Hospital.